Date of Construction 1913 - 1916 AD. After Ayutthaya was defeated by the Burmese in 1767. A group of French Catholic led by Bishop le Bon and Father Corre fled to Cambodia. They returned after the ascension of King Taksin the Great, who granted them a land to build the church in 1768. The cruch was named “Santa Cruz”. Later in 1990, the abbot, Father Gulielmo Kihn Da Cruz considered on building a new church to replace the old one that was much decayed. Thus the new church, which has lasted to the present day, was built during 1913-1916. It is said that the abbot himself was the designer of the church; however, it is believable that he was assisted by Father Perro and an Italian architect. 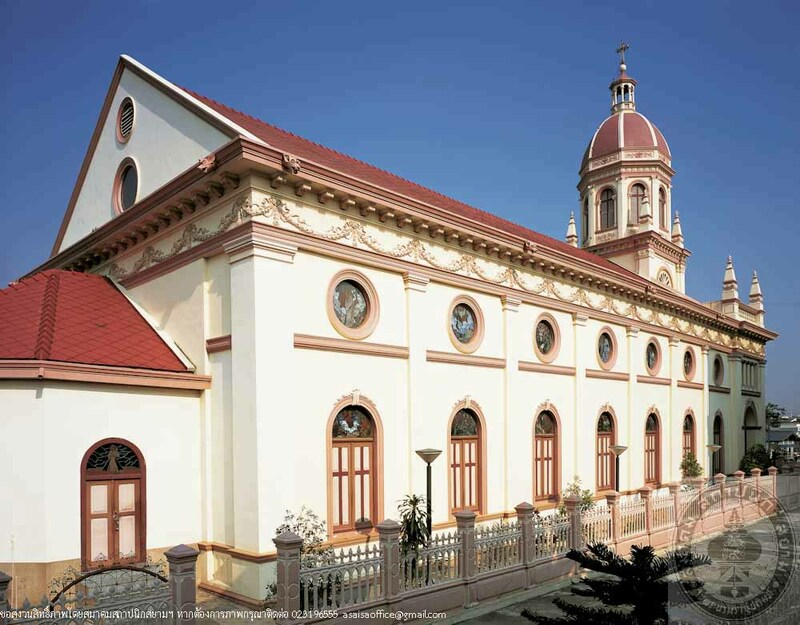 The architecture is Renaissance Revival style with round arched gate, octagonal dome decorated with a cross at the top, stained glass and stuccos decorations. 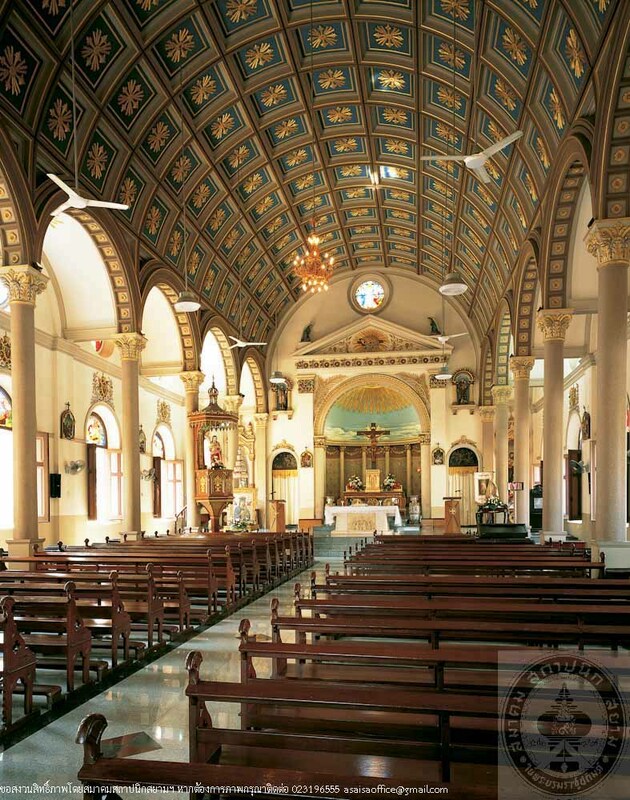 Major restoration was carried out in 1996 for the 80th Anniverary Celebration of Santa Crua Church.